Want to make sense of accounting basics but don't know where to begin? This new edition of Accounting For Dummies helps you speak your accountant's language with ease—minimizing confusion as you maximize profits. Written in plain English, it quickly gets you up to speed on how to manage inventory, report income and expenses for private or public companies, evaluate profit margins, analyze business strengths and weaknesses, manage budgets for a better bottom line, and so much more. Whether you're a small business owner, a manager with budget responsibilities, or just want to understand your 401(k) statements, this friendly guide helps you get a handle on all those columns of numbers—without losing your cool. From tips for getting the most out of reading a financial report to ways to analyze and manage profit—and everything in between—it gives you the jargon-free introduction to accounting you need to make sense of those numbers. If the thought of accounting gives you anxiety, you're in luck! 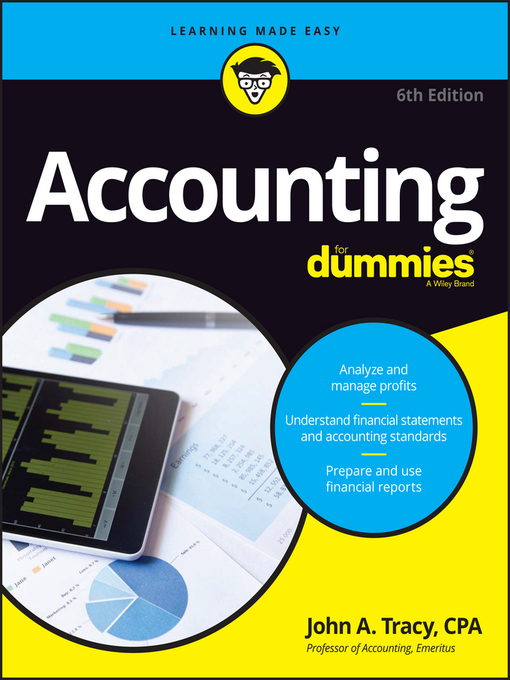 Accounting For Dummies is your no-nonsense ticket to success!